Sharjah: Continuing with its efforts to make a difference to the lives of the needy across the world, Sharjah’s The Big Heart Foundation (TBHF) supported more than a million people last year spending Dh58 million, the foundation revealed on Saturday. Covering 12 conflict-affected countries, TBHF focused on supporting vital sectors including education, health care and food security, thereby rehabilitating underprivileged people who have lost basic amenities of life, due to conflicts, social ills, and/or natural disasters in their respective countries. TBHF’s overall activities last year comprised 20 projects in 12 countries, namely: Bangladesh, Egypt, Iraq, Jordan, Malaysia, Pakistan, Palestine and Syria, in addition to Tanzania, Mauritania, Somalia and South Sudan. The projects catered to sectors that form the lifeline for individuals and communities. Dh47.89million were allocated to support and rehabilitate the healthcare sector, which is one of the most important and the most affected sectors during crisis. TBHF also assigned Dh4.65 million to the education sector, which was used for rehabilitation of schools, empowering children and fulfilling the basic needs of teaching staff, ensuring access to academic training centres and organisations for everyone. 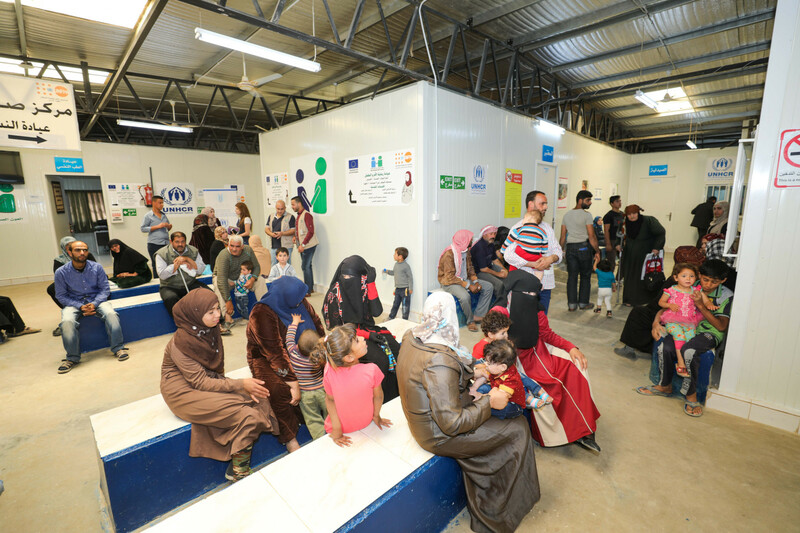 Additionally, Dh2.65 million was dedicated for urgent assistance to individuals and groups, in the areas affected by poverty, conflicts and the influx of refugees. This aimed to fulfil the day-to-day needs of less fortunate people by providing them with food, clothing and drinking water. A significant portion of the funds (Dh1.5 million) was also allocated for the protection of refugees and displaced people, in collaboration with the United Nations High Commissioner for Refugees (UNHCR) and local authorities. Also, Dh734,636 was allocated to secure sustainable food resources for the refugees and other underprivileged people, who were affected by natural disasters in some of the countries reached by TBHF. TBHF also contributed Dh1.036 million to build sanitation systems and facilities, as well as provide drinking water in the inflicted areas. Al Hammadi noted that TBHF works with international partners to face global challenges and crisis that affect mass populations including the poor and refugees.